Fall is a favorite season when it comes to fashion. It isn't too hot or too cold, so you can feel free to show off your ensembles without fear of sweat stains or having them hidden underneath a giant puffer coat. And what better way to show off the new season fashion then by doing fall activities? Apple picking, haunted hayrides, autumn baking, or, you know, standing in line for your first PSL of the season (pumpkin spice latte, duh). But the most quintessential fall activity is the pumpkin patch. And even celebrities like to get in on the fun, both with their children and those without. But they don't just head to your average strip-mall parking lot with strategically placed haystacks. Celebrities frequent the Mr. Bones pumpkin patch in West Hollywood, and at a highly-papped patch like this one, what you wear is almost more important than the pumpkin you pick out. So let's take a look at some of the fashion these celebrities brought to the pumpkin patch this fall. But let's not forget, this is California after all, so chunky sweaters, thigh-high boots, and cocoon coats are seriously not an option. The Hart of Dixie star showed us how you can dress for fall even in the heat. Her short, lace dress was the right blend of romantic and spooky, modernizing a classic Victorian look. The mom of two looked country chic with her ripped jeans and fringed, suede bag. J.Lo covered up her killer abs and looked ready for the farm in a flannel shirt and white denim. The Victoria's Secret model kept on trend with her overalls, but still cool enough to withstand the Los Angeles sunshine. The singer wore a slightly ecclectic ensemble to help son Axl pick out a pumpkin. She gave off a hip hop vibe with her black sneakers, floral Adidas tee, and quilted black bag. 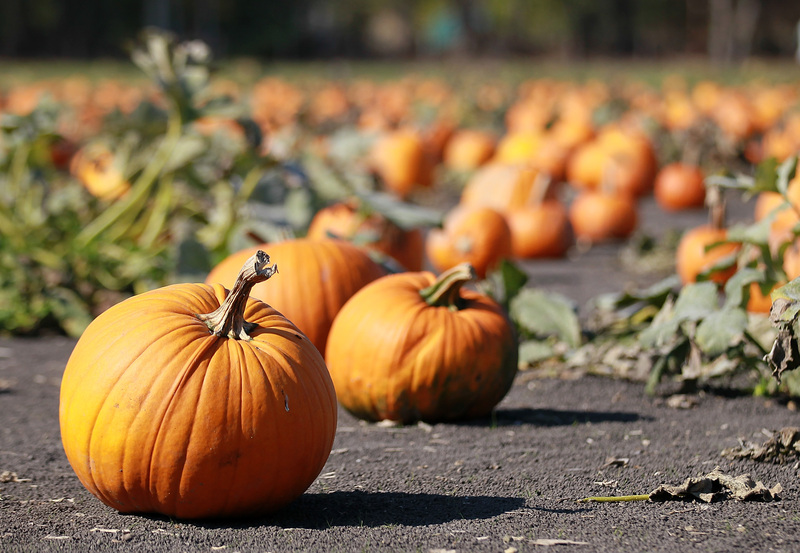 You don't have to be a parent to enjoy the pumpkin patch. The One Direction star stuck with his trademark hipster look, and I'm sure those boots actually came in handy walking through all that hay.